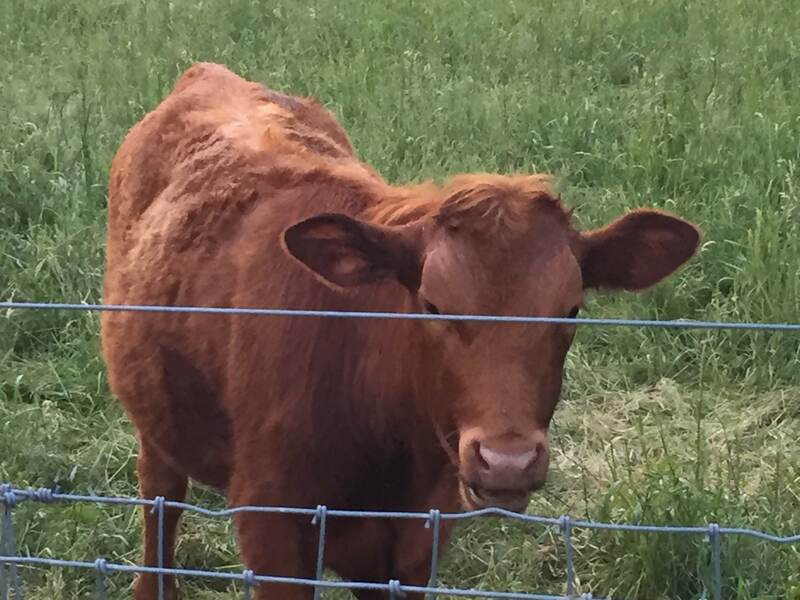 Each year we host a few cows from a neighbor’s farm on our pastures for the summer. 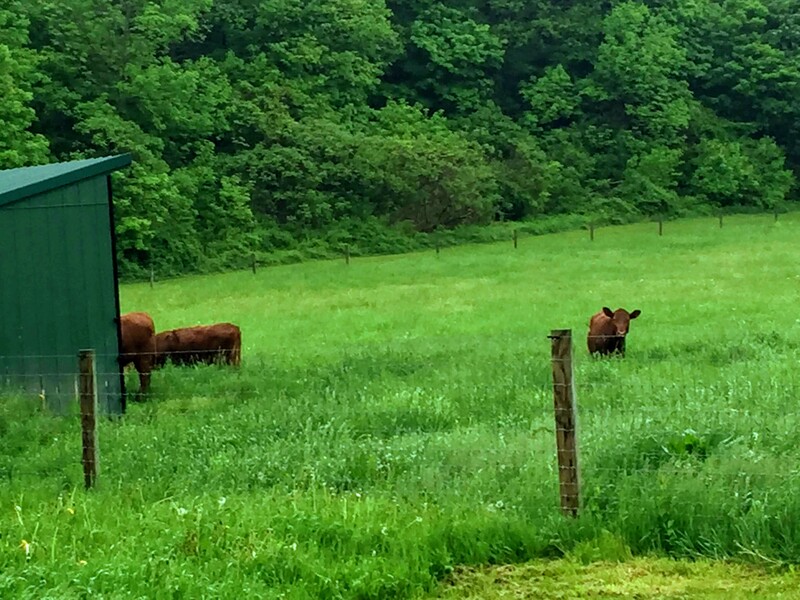 The cows eat the grass (meaning we don’t have to mow – the goats can’t eat enough on their own to make a dent in the full pasture) and the neighbor gets to reduce any stress on his own pastures. See here (2015), here (2016), and here (2017) for the past few years of tenant cows. Nia, Della and Missy shortly after arrival. This year, we are again hosting 3 yearling heifers. Their names are Nia, Della and Missy. 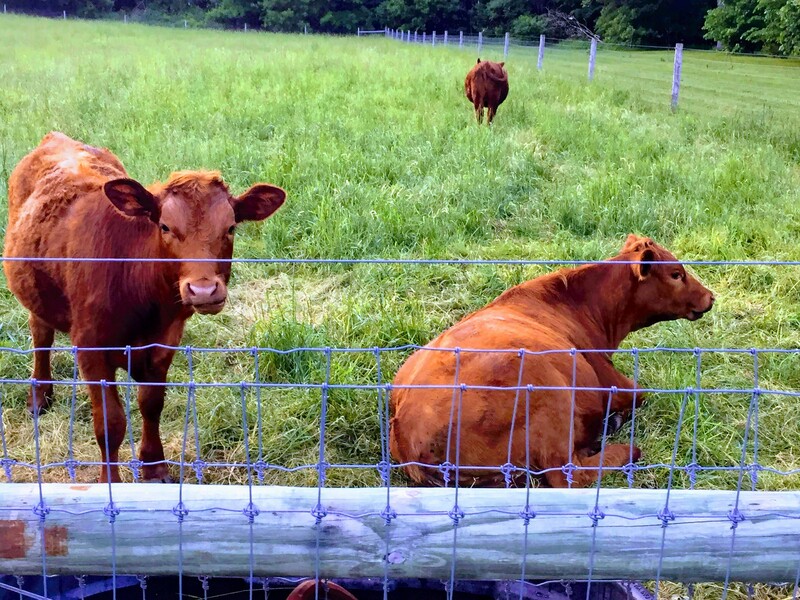 They are all Red Angus and look very similar – it is hard to tell them apart without looking very closely. Nia is slightly larger than the others and Missy has a small white spot on her tail, but other than that they look the same. The new cows inspecting the run-in shed. 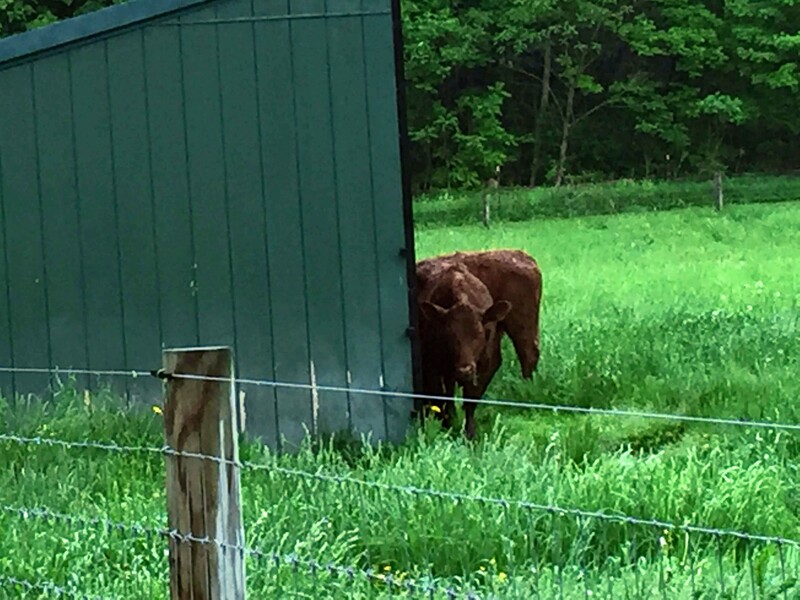 A few days after their arrival, we noticed one of the cows seemed to be spending a long time in the shed instead of grazing. She might have been in there for an hour or two. Turns out she got her head stuck in the cow head gate and couldn’t get it out on her own. The cow head gate is used to lock their head into place in case you need to do anything to the cow such as give medication or dress a wound. We unhooked the gate and she was able to get her head out and rejoin the others in the pasture. A close-up (I think this is Nia). The cows in the fresh grass.